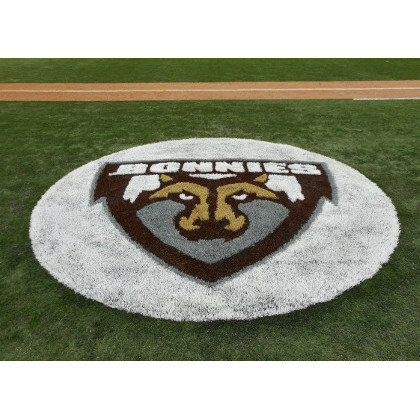 Transform Any Design into an Artificial Turf Logo! Custom Turf Outlet is all about creating a unique and custom tailored product for our customers. Our Artificial Turf Logos & Design service is a great way for a business to stand out in a professional and creative way. No matter how complicated a design is, we can turn your logo into an Artificial Turf Logo. Just as a billboard on a highway, our artificial turf logo & Design service will enhance your brand awareness and will create a powerful name recognition for your business or organization. The colored logo, will turn standard grass of your organization’s landscape into a highly visible and attractive centerpiece for everyone to see and admire. Designed by the latest technologies to be a permanent and durable synthetic logo with the best drainage on the market. The synthetic turf logo will stand out as a professional and legitimate place of business. Artificial turf logo will enhance your organization’s brand awareness. Increase name recognition with synthetic turf logos. Personalize your organization in a unique way. Ideal for schools and universities to increase brand awareness and promote school spirit on campus. For universities across the country, school spirit is not just a way to get people to cheer at a pep rally, it’s a marketing tool. When school spirit is supported by students on campus, the brand of the university is worn on t-shirts, hats, bumper stickers, sweatshirts and more. 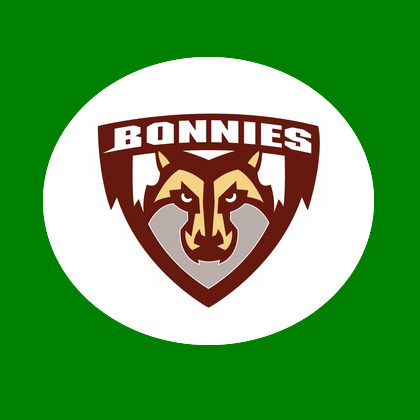 Adding an artificial turf logo to a college university can only enhance the school spirit for students, which will have a positive marketing effect on the school’s image. Logos come in a variety of different sizes, colors and unique designs. This makes it difficult to set a standard price for all designs. Below are the three main factors that determine a custom turf logo purchase price. The specific colors needed and the number of different colors. The overall complexity of the design. Fill out the form below and detail your desired dimensions and the location of where the logo will go, along with uploading an image of the design in .png or .jpg format. With this information our team will be able to send you an accurate project cost with shipping details. Easily install at your location.